Manufactured in Des Plaines, Illinois by Motor Coach Industries (MCI), the J4500 is a veteran of the charter bus industry. Introduced in 2001, this model is the top-of-the-line vehicle manufactured by MCI. A tighter turning radius and better handling than many of its peers, this bus can easily handle city and highway terrain. Independent Front Suspension (IFS) results in improve handling for this model. Most models come standard with all the above features. If you are interested in learning more about specific features in the J4500 model, please contact a reservation specialist. Someone is available 24/7 at 1-800-436-8719 to answer your questions and provide a free quote. This vehicle does not come short in the entertainment category. 15" wide-screen HD monitors allow you to watch movies in comfort on your journey. Power outlets under your seat are available on most MCI models to make sure you never run out of charge. Free Wi-Fi keeps you connected at all times. The MCI J4500 comes standard with premium shock absorbers and wide-ride suspension for a comfortable trip. Electronic stability controls add to the vehicles smooth ride. The manufacturer's patented stairway adds an appealing detail to the vehicle. Led lighting at every seat on newer models allow you to read books during evening trips. 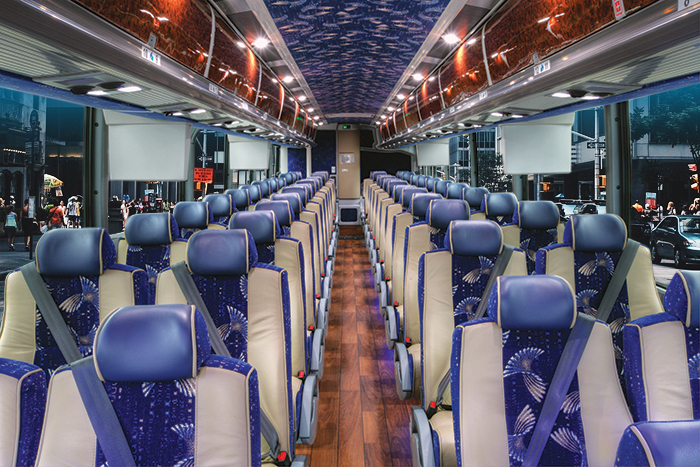 Charter buses are perfect for groups attending sport ing events. The MCI J4500 model offers every amenity you would want on your trip. With seating for 55 passengers and ample legroom, space on the bus won't be an issue. Most buses even offer rear audio systems if your passengers want to listen to music on the way. With service in over 100 cities across the United States and Canada, we will make sure you get to the stadium on time and in style. If you are reserving transportation for a high school or university trip then you should consider the charter bus. 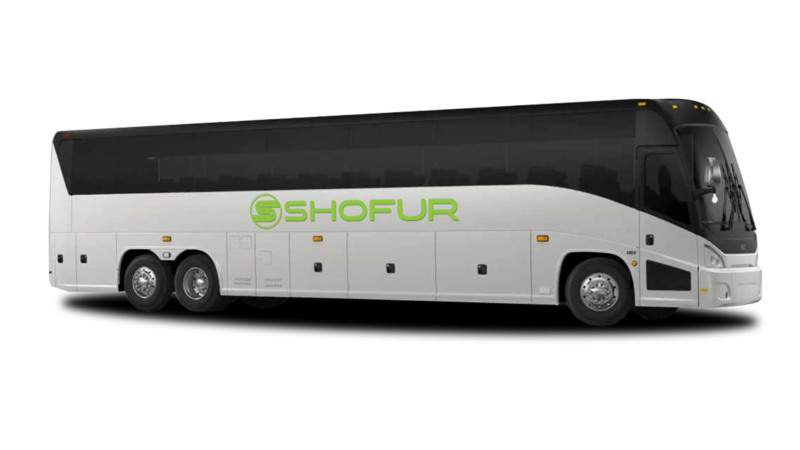 These models are cost-effective for large groups traveling between cities. If you need to take students on a field trip or graduation event then the MCI J4500 will handle the job. Wi-Fi and power outlets will keep everyone entertained during their trip. All your students will be able to catch up on their favorite Netflix series or browse Facebook in comfort. Motor Coach Industries is an American bus manufacturer headquartered in Des Plaines, Illinois. One of the oldest motor coach manufacturers, MCI was founded in 1933 in Winnipeg, Canada. The company currently operates across the United States and Canada with over 2,300 employees. MCI is a subsidiary of New Flyer Industries. For more information on specific models and features visit www.mcicoach.com.